You are currently browsing the archives for the Landscaping category. If you need help with landscaping your lawn, visit Leisure Landscapes. They can provide tips on landscaping and improving the exterior of your house. This entry was posted on Friday, May 15th, 2009 at 10:01 am	and is filed under Landscaping. You can follow any responses to this entry through the RSS 2.0 feed. You can leave a response, or trackback from your own site. Some people can increase the energy efficiency of their home through landscaping. You can carefully position your trees to lower the impacts of the sun on your house in the summer, lower the effect of the wind on your house in the winter, and decrease noise and light pollution. This entry was posted on Saturday, April 25th, 2009 at 3:00 pm	and is filed under Green Homes, Landscaping. You can follow any responses to this entry through the RSS 2.0 feed. You can leave a response, or trackback from your own site. 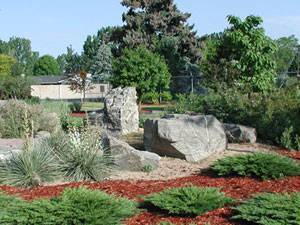 Clearwater Landscapes can help you design your yards and gardens. There are plenty of ideas, so you should find something that you want. This entry was posted on Thursday, March 12th, 2009 at 10:20 pm	and is filed under Landscaping. You can follow any responses to this entry through the RSS 2.0 feed. You can leave a response, or trackback from your own site. If you’re like us, you tend to forget to regularly water your lawn, until you wake up one day to find it’s turned brown in July! The answer, of course, is an automatic lawn sprinkler system. Here’s a site that features an incredible bonanza of information and tutorials about how to install automatic irrigation systems. This entry was posted on Sunday, August 10th, 2008 at 8:12 am	and is filed under Landscaping. You can follow any responses to this entry through the RSS 2.0 feed. You can leave a response, or trackback from your own site.